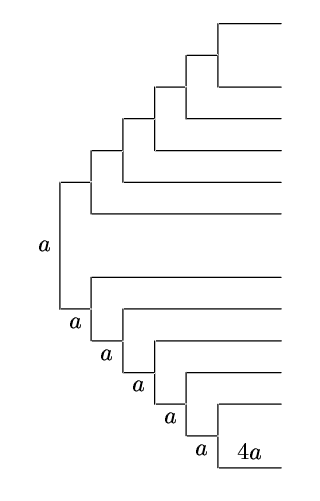 Quartet based phylogenetic inference: improvement and limits. Ranwez V., Gascuel O. Molecular Biology and Evolution. 2001 18: 1103-1116. Please cite THIS paper if you use these datasets. 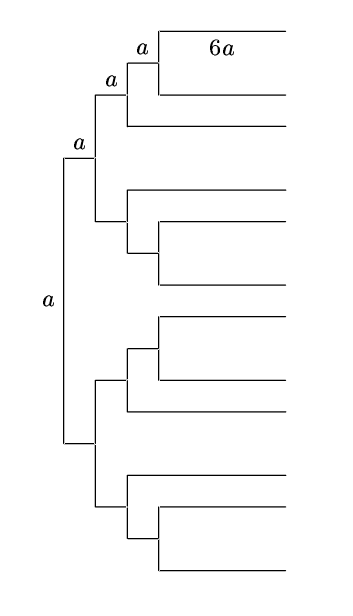 Phylogenetic reconstruction, quartet methods, tree consensus, maximum-likelihood, parsimony, distance methods, computer simulations. This page provide the benchmarks used in this paper. 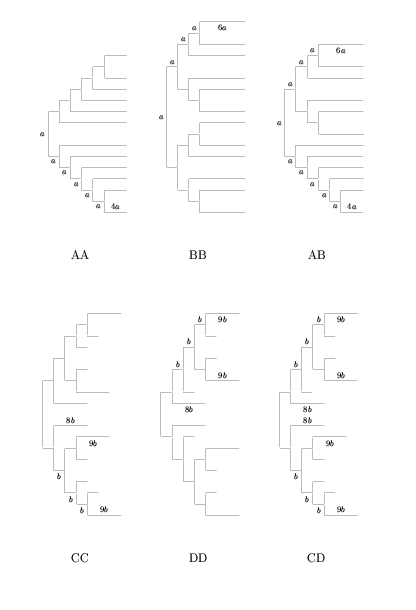 For each tree T and evolutionary condition, we used Seq-Gen (v1.06) to generate 1000 data files with sequences of length 300, and 1000 data files with sequences of length 600. These sequences were obtained by simulating an evolving process along T according to the Kimura two-parameter model with a transition/transversion rate of 2. We thus tested the different methods on 48000 test sets corresponding to 2 sequence lengths, 4 evolution rates and 6 model trees. These test files are available in one zip file (62 Mo) or in separate zip files (about 700K for 300 nucleotides). 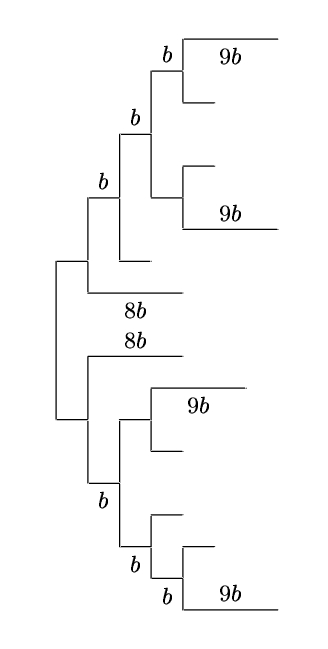 MD about 0.1: tree file and zipped DNA files for sequences of length 300 and of length 600. 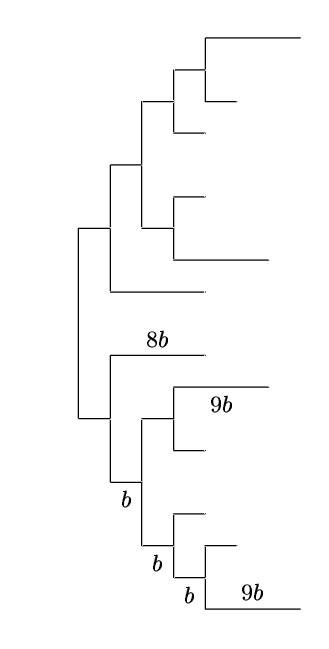 MD about 0.3: tree file and zipped DNA files for sequences of length 300 and of length 600. MD about 1.0: tree file and zipped DNA files for sequences of length 300 and of length 600. 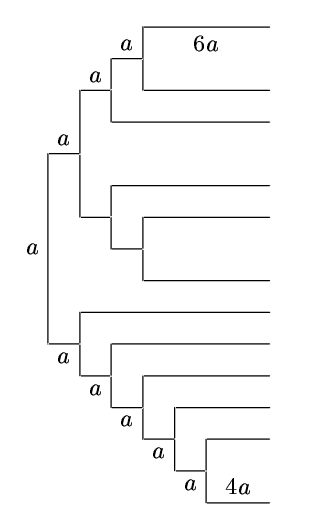 MD about 2.0: tree file and zipped DNA files for sequences of length 300 and of length 600.